Given Wheeler’s grasp on rock music, it’s hardly astonishing that his prediction was dead-on. Fuzz, the self-titled release from Segall’s latest venture with longtime bandmate Charlie Mootheart, is his fifth release to amass commercial and critical success since 2011’s Goodbye Bread. 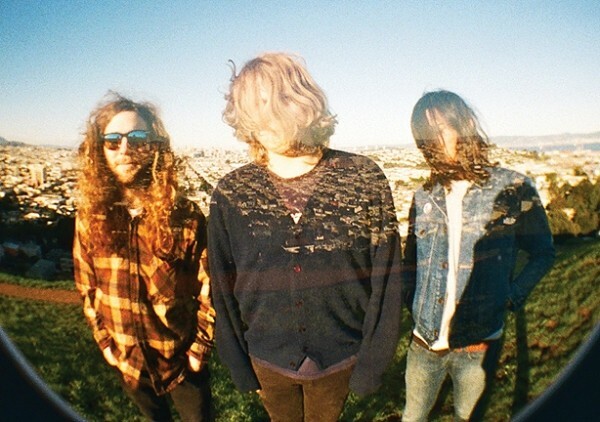 Like that album and previous efforts, Fuzz has the undeniable gritty, unhinged swagger that made Segall and his bandmates scuzz-rock favorites. This time, though, they’ve brought their heavier pre-metal influences to the foreground, drawing from artists like Black Sabbath and Blue Cheer. For Fuzz guitarist Charlie Mootheart, embodying the monumental heaviness of metal’s innovators wasn’t a task to be taken lightly. “Up until now, we didn’t know if we could do it,” he says. “In a way, it’s taking a risk; there’s not a lot of room for error.” For Mootheart, making his band’s sound unique while paying homage to their forebears was paramount. Since their high school days spent playing in “glam-Sabbath”-informed bands in their parents’ basements, Mootheart and Segall have been evolving a sound that can draw from inspiration from heavy rock’s glory days while standing on its own feet creatively. Fuzz undoubtedly takes most of its cues from proto-metal, but the rockers bring other influences to the table as well. “Every song could be a different [inspiration]. Some of them could be Black Flag, or Wu-Tang beats,” Mootheart says. Fuzz is an album that plays in much the same spirit as it was made. On “Loose Sutures,” the soaring guitar hook is carefree yet impassioned, an auditory manifestation of the longtime friends’ common creative bond. The track’s drums (supplied by Segall, who usually plays guitar) form a punchy backdrop around the sizzling wall of fuzz and vocal harmonies. Album opener “Earthen Gates” builds slowly, with murky rumblings giving way to a breakneck headbanger, intensified by Segall’s lyrical howls. When the Ty Segall Band (including Charlie Mootheart) was last in Salt Lake City, the rowdy show was “pretty wild, it was rad,” Mootheart says. Seeing Fuzz might have you rocking so hard that you flashback to the time you saw Ozzy bite the head off that bat. Wednesday, Oct. 23, 8 p.m.